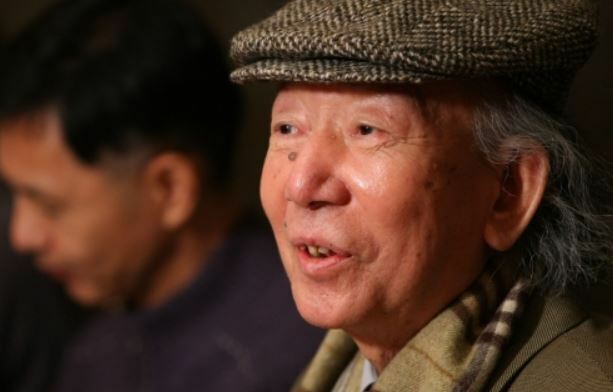 Prominent novelist Choi In-hun, whose fiction delved into the ideological conflicts, existential angst and decadent politics in modern Korea, died of cancer on Monday. He was 82. He passed away at a hospital in Goyang, just outside of Seoul, in the morning. He was diagnosed with colorectal cancer four months ago. Born in 1936 in Hoeryong, in what is now North Korea, Choi crossed into the South after the Korean War broke out in 1950. Choi is best known for his 1960 novel "The Square," one of the first literary works that squarely confronted the reality of national division. It tells the story of a young man who is squeezed in an ideological conflict, refusing to align himself with either South or North and eventually taking his own life. In "A Grey Man" (1963), the author traced an individual in disarray amidst political turbulence in the 1950s. His other well-known works include "Journey to the West" (1966), "The Sound of Laughter" (1967) and "The Keyword" (1994). The medium-length "The Square" was first published in a literary magazine seven months after the April 19 pro-democracy uprising, which toppled the authoritarian Rhee Syng-man government. Right after its release, the novel became a sensation in and out of the literary scene. It is still read by many Koreans, considered a landmark work that opened a new horizon in post-war Korean literature. It is the novel included in the largest number of high school literature textbooks. "The April 19 uprising was a time when history suddenly shined a bright light on our lives and created an atmosphere where the less intelligent could become clever and artists who lack inspiration or talent could feel like an excellent view of history came into their mind," the late novelist said of "The Square." "So whenever I have a chance, I often mention that I wrote 'The Square' in my capacity as a chronicler of the times instead of talking about my literary ability." The award-winning novel has since been translated into six languages: English, Japanese, French, German, Russian and Chinese. Including "The Square," most of Choi's work centers on individuals suffering from the ideological conflicts living on the divided Korean Peninsula. Kim Hyun, a prominent late literary critic, used to call Choi "the biggest post-war writer who expanded the subject of an 'uprooted man' into a universal story of human beings."